So this one has been a long time coming. I've made extensive city guides like these for all the cities I've lived in: London, Amsterdam, Munich and New York. All but one: Antwerp. This is my hometown, and although I only lived in the actual city center for a couple of months in 2016, there was absolutely no reason why I hadn't made an Antwerp guide before. But now, I've finally made it and I'm ready to share with you the ultimate guide for Antwerp. Whether you're an Antwerp native or you're going for a weekend trip, this guide will help you find your way through the city and discover new places. Everything is on there: restaurants, cafés, museums, bars, shops and hidden gems. Click on this link to go to the map and download the free PDF guide here. For each place, I wrote one or two sentences with my opinion and specific recommendations. All the mini-reviews are written below but the PDF if easier to save on your phone and use whenever you need it! 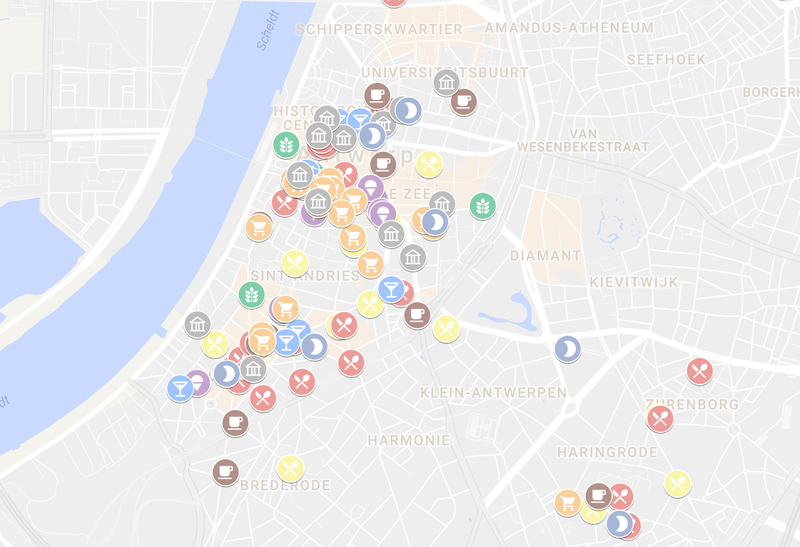 I hope this map and guide is useful on your next trip to Antwerp. There are more than 100 places on this map so plenty of things to explore. Enjoy! Bakker Aldo - Bakery: Experts in sourdough bread. They only use water, flour and salt, so it's very no-nonsense. This baker learned the tricks of the trade at Domestic! 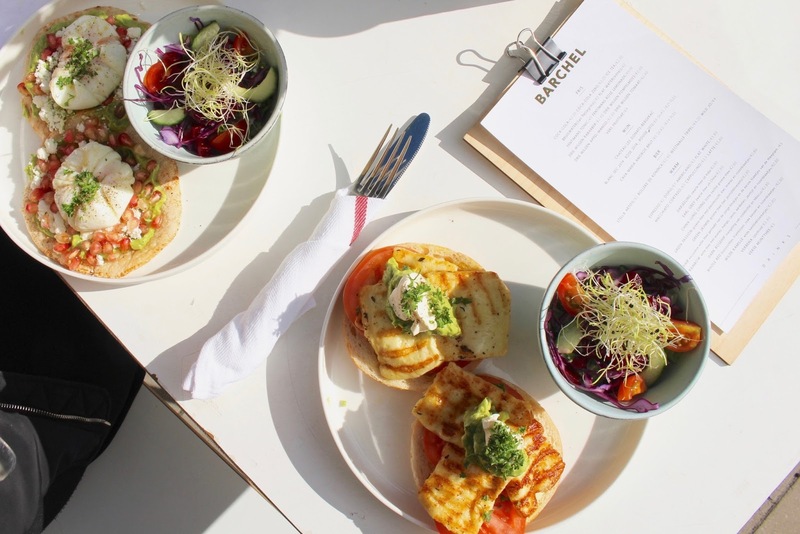 Barchel: My favorite place for brunch. The food is beautiful, delicious and fresh. Amazing cakes and pies for dessert! The only downside I can think of is that it's so popular you're going to have to come early or be prepared to wait for a table. It's worth it. Bar Vert: Cozy brunch/lunch bar with a small menu. Expect colourful salads, homemade lasagna and tasty flatbreads. Located in the upcoming area t' Groen Kwartier. Cafématic: A cosy little spot where you can have a long and relaxed brunch or afternoon coffee. Friendly staff and nearly everything is homemade! Coffeelabs: Big space perfect for co-working, meetings or a lunch-break during shopping. Everything is home-made and they have great cakes as well as a good lunch menu. Copper: This is the kind of place where you'll feel right at home. Admire the beautiful ceramics while enjoying the most colorful salads and open-faced sandwiches. Cuisinette Domestic: A super cute bakery which recently opened its first floor where you can have an incredible High Tea (menu €31pp) in the plushest pinkest surroundings. Downstairs at the back, you can sit down for a cup of coffee and some tasty toast and soup (a la carte). Dellafaille - Bakery: A fixed value, this family-owned bakery has been around for more than 70 years. The shop in Antwerp is the newest addition but the quality remains the same. Try the tarts with raspberries, so good! Domestic - Bakery: Cuisinette Domestic's big sister, part of one-star restaurant Dôme. If you're looking for great bread and pastries, this is the spot. I love the spelt and sourdough bread! Kaffeenini: Coffee, tea and brunch spot focused on crazy coffee creations and bagels. With good weather there's a pretty big terrace outside. Konditori - Bakery: Beautiful little bakery where you can find some typical Belgian pastries and "koffiekoeken" but also some of the best sourdough bread. Take-away only! Le Pain Quotidien: A classic in Antwerp, you know what to expect and you'll always find a spot here. I love the walnut sourdough and flourless chocolate tarts. Mirlo’s: Very cute and cosy pastel all-day breakfast spot, perfect for a lazy weekend with friends. Try the banana pancakes! Tartine: I like this spot for brunch, but come around noon and you won't have to wait for a table. Popular among students since it's in the student area. Very tasty and generous toasted sandwiches and homemade soup. The desserts are great too! Baraque Friture: One of the newest addition to the Belgian-fries family, located on one of the cosiest squares in the South of Antwerp. This is more of a grown-up version of the typical "frituur", with spare-ribs, small salads and of course fries! BÚN: Perhaps one of Antwerp's smallest restaurants (not for groups), but certainly not compromising on flavour. Bún offers pure Vietnamese street food such as fresh spring rolls and noodles. The rice noodles with lemongrass tofu are always great. Camino: Casual Korean/Vietnamese restaurant run by a team of young people. Very nice during summer thanks to the outdoor seating. Ciro’s: They say they're the most "Antwerps" restaurant in Antwerp, and that might just be true.This old café/brasserie serves typical Flemish dishes without frills. Civilta Del Bere: Arguably one of the best pizza places in Antwerp, with a more fine-dining feel than your average pizza joint. Wine list is great, too. Den Artist: If you're in for an authentic Belgian meal, this is where you need to be. Vol-au-vent, chicken with fries, steak bearnaise, meatballs in beer sauce or shrimp croquettes. It doesn't get any more Belgian than that. The location is also great, right opposite the Museum of Fine Arts. Dôme Sur Mer: This restaurant recently changed owners but that hasn't changed the restaurant luckily. The menu is focused on fresh seafood, but there are also some alternative options. Great for special occasions or celebrations. Estro Armonico: One of the hidden restaurants in the Vlaekensgang, which means you'll be eating with locals for the most part. The concept is simple: steaks and jacket potatoes from the wood-fired oven. Always tasty! Don't skip dessert: apple baked in the fireplace with ice cream. Real comfort food. Finjan: Known - even outside of Belgium - for the best pita. The vegetarian falafel pita is amazing, as well as the crispy fries. Try all of the sauces (warning: extremely garlic-y). Cheap & cheerful. Friterij: The first artisanal "frituur" in Antwerp. Hand-cut fries, homemade croquettes (also vegetarian!) and freshly made sauces. Great quality Belgian fries. Frites Atelier: Top-chef Sergio Herman decided to open a fancier version of the Belgian "frituur". It's immensely popular, but not necessarily better than your average frituur. The sauces are what makes it special. Fun to try once! Frituur Kattekwaad: The perfect example of an authentic, no-nonsense Belgian "frituur". If you want real Belgian fries, this is a good place to start. Graanmarkt 13: Seppe Nobels is the best vegetable chef in Belgium, so at his restaurant, you can expect a lot of seasonal vegetables with a little bit of meat/fish and herbs from the rooftop garden. Perfect for special occasions. Izumi: Known as one of the best sushi spots in Antwerp. The interior feels like you're entering someone's living room, not necessarily in the good sense. Prices are not entirely justified, however, the quality of the sushi is great. Le John: This dinner-only gem is located in an old school building. The staff is kind and accommodating, and the menu offers something for everyone (also vegetarians). Perfect for an elegant dinner. Mercado: Indoor food hall with different little food stands, from Mexican to Lebanese, to coffee or oysters. Fun to do with a group so everyone can choose what to eat. Favorites: Sum Sum and Yalla Yalla. Closes April 2018. Otomat: One of the more experimental pizzerias in the city. They use Duvel yeast for the pizza base which makes them light and crunchy yet soft in the center. They do both classic and more special pizzas. The Mega Vega vegan pizza is truly delicious, and you can never go wrong with a simple margherita. Pasta-Hippo-Vino: Somehow this place is always packed with people enjoying wines and big plates of pasta. It's not the most refined nor the best Italian, but it's really great for big groups and the food is good. Roji: Japanese restaurant for special occasions or date nights. The Axel Vervoordt interior is beautiful, and if you manage to snag a spot by the fireplace you're in luck. Price/quality is a little off, but the cocktails are great. Simply Emily: Easy to overlook, but worth to try out. At this place you can choose from a range of homemade soups. Delicious and satisfying, perfect for lunch. The Jane: Antwerp's number one two-star restaurant run by Nick Bril and Sergio Herman. It's located inside an old chapel, which makes the dining experience one you'll never forget. Umamido: Ramen noodle bar with a concise but excellent menu. Good for a casual lunch or dinner with friends. Urbanwraps: Good lunch spot for a healthy on-the-go wrap. Everything is freshly made and there are many options, but not many vegetarian options. Veranda: Located a bit outside of the center of town, this restaurant is definitely worth the "trip". The restaurant offers a tasting menu which you can pair with (natural) wines. The bar in front offers the possibility of ordering some a la carte dishes. Make sure to sample some natural wines and gorge yourself on the homemade sourdough bread. Walvis: A relaxed little all-day café with a great brunch/lunch menu and tasty afternoon snacks that go well with a nice spritz. The outdoor seating is amazing during spring and summer since it's located in a quieter area of Antwerp. Divers: Healthy café focused on smoothie bowls and fresh juices & smoothies. Very Pinterest-y interior, all-vegan menu. Het Natuurhuis: Organic supermarket with the biggest range of products from all organic shops in Antwerp. They do everything from fresh food to cosmetics to supplements. Juno: Home-made comfort food with a home feeling. 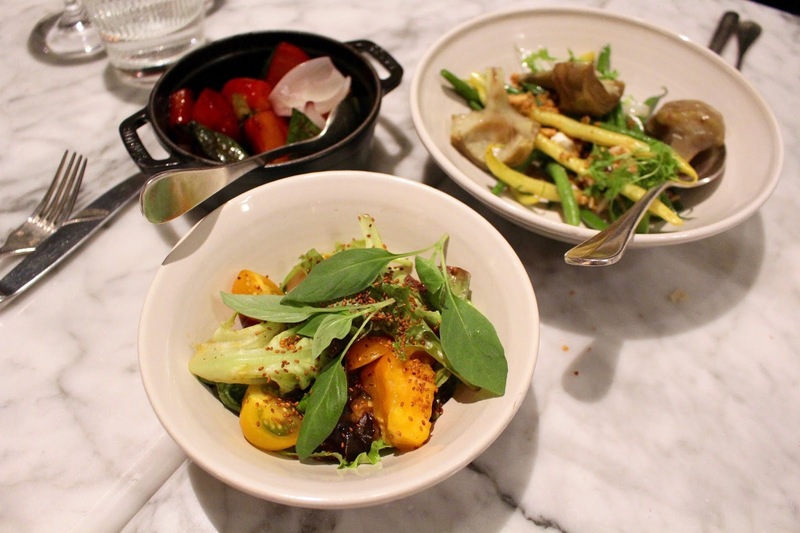 Focus on sustainability, so the menu is very seasonal and changes often. Best known for coulorful plant-based bowls. Vers Zuid: Corner-deli which does everything from fresh sandwiches to salads to smoothies. Everything to fix your craving for nutritious food, whether you eat-in or take-away! 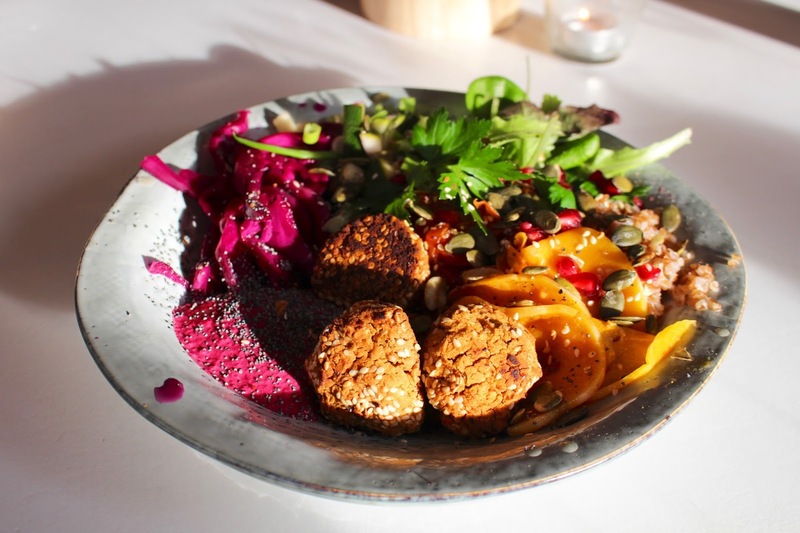 Wild Project: Vegan food with a Mediterranean touch in a cosy little restaurant! The owners are very passionate and dedicated which definitely reflects in the quality of the food. Butchers Coffee: My number one spot for coffee. Simply the best coffee in town, always served with a big smile. Super laid back and great for brunch too! Try the "butcherke". Caffènation: One of the Antwerp coffee OG's. They roast their beans and supply coffee to many good restaurants and cafés in the city. The café itself is quite spacious and the service is friendly. Caffènation Roastery and Bar PAKT: The place where Caffenation roasts their beans. There's a small café next door where you can taste those freshly-roasted beans. It doesn't get better. Coffee & Vinyl: Love vinyl records? Love coffee? Then this is the ultimate spot for you. They also do alcoholic beverages so you can pretty much hang around all day, listen to music and chill. Kolonel Koffie: Tiny coffee roastery and café in the South of Antwerp. They also do a killer brekky. Normo: Hipster coffee spot which also functions as a hangout for students of the uni nearby. One of the top coffee places in Antwerp because they roast their own beans. Sébastien: Not the greatest coffee in Antwerp, but good enough for a quick coffee-fix. They have some good snack and lunch options too. I love the focaccia and the vegan wrap. Take 5 Minutes in Paris: A hidden gem in one of the cosiest streets in Antwerp, the Kloosterstraat. There's a garden which makes it perfect for summer mornings, reading the newspaper with a croissant and a café au lait. Texas Coffee: Great coffee, perfect for take-out, unless you go for one of the crazy smoothies (think Black Tap NYC). 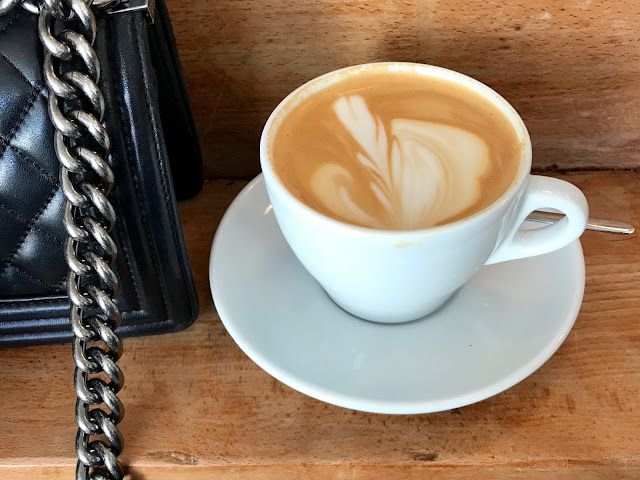 Royally-sized flat whites are a plus! Vandoag is’t: Adorable little café in the student area run by a super friendly guy. The coffee menu is very big and varied, and the prices are reasonable. Coffee supplied by Caffenation. 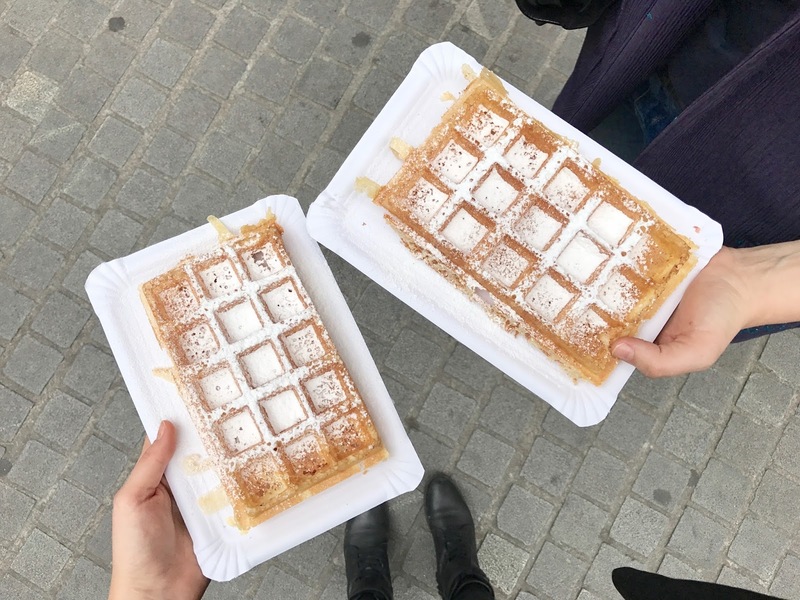 ’t Bieke: Although this is an ice-cream place, I only come here for the Brussels waffles, the best in town! Great for a take-away snack while shopping. Burie Chocolatier & Confiserie: One of the oldest chocolatiers in Antwerp, and also some of the best chocolate. Desire De Lille: Known for the best "oliebollen" in town. It's a must-try, just forget about everything else on the menu! Nice outdoor garden in summer. Gelato Factory: Arguably the best gelato in Antwerp, located in the South. They focus on classic Italian flavours. Les Tartes de Françoise: Hosting a party but got no time to bake? Les Tartes de Françoise taste just like home-made pies, super delicious! You can also just come by for a single slice. Mary Chocolatier: Originally from Brussels, this chocolatier is purveyor of the Royal household, which means it's top quality chocolate. It's also located in an adorable old corner-building in De Wilde Zee. Philip’s Biscuits: Antwerpse Handjes are the symbol of Antwerp, and there's no better place to buy these cookies than at Philip's. Great for gifts to bring back home if you're visiting Antwerp. Backyard: Skip the food here and come for a couple of drinks. There's plenty of space and they do barsnacks if you're that way inclined. 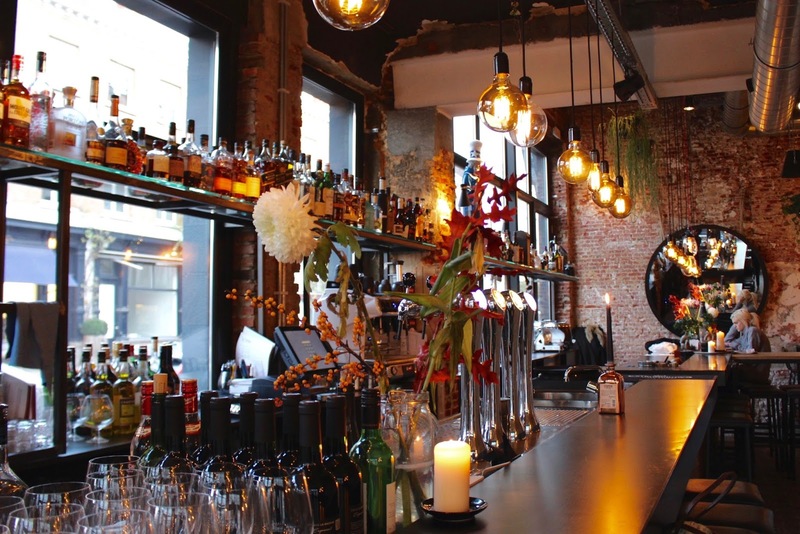 BarBel: Small bar with cosy interior and a nice little wine list, plus snacks. Made for couples or smaller groups who are looking for a relaxed drink. Caffè Barbossa: One of my favorite bars, which opened in 2016. Always packed from Thursday-Saturday, but during the week it's a good place for a good apéro (their cheese board is great), and the house cocktail is always a safe bet. Café Baron: Cosy pub where locals go to have a good time, chat with old friends and enjoy the last rays of sun on the terrace. Very no-nonsense and always a good time. Dogma Cocktails: Special cocktails made by cute bartenders and mixologists. Good for date nights or girls nights. In De Roscam: Located at the quiet square Vrijdagmarkt (except on Fridays when the actual market is on), you'll find this local all-day restaurant/café. Nothing extremely special, just good old-fashioned food and drinks, and royal servings. Sips Cocktailbar: One of the original cocktailbars in Antwerp. They're best know for their cocktail service at parties, but you can also enjoy some delicious cocktails at the bar, with a cool view on one of Antwerp's old city gates. Vitrin: Cosy bar with ceiling-to-floor windows (hence the name) on Marnixplaats, one of the most iconic squares in the South of Antwerp. Always packed during weekends and long summer nights. Baby Beluga: Women-only shop with a small but really great selection of brands, such as Ganni, Sea Me Happy, Zoe Karssen and Les Coyotes de Paris. Copyright: The best art and architecture book shop in town. They also have a range of beautiful books on design, lifestyle, fashion, photography and graphic design. Located right next to the MoMu (museum of fashion). DAMOY: Multibrand fashion store which re-opened in 2017 in this beautiful spacious building in the fashion district. They have different brands but it's carefully curated so that everything goes seamlessly together. They focus on stylish essentials in neutral colours. 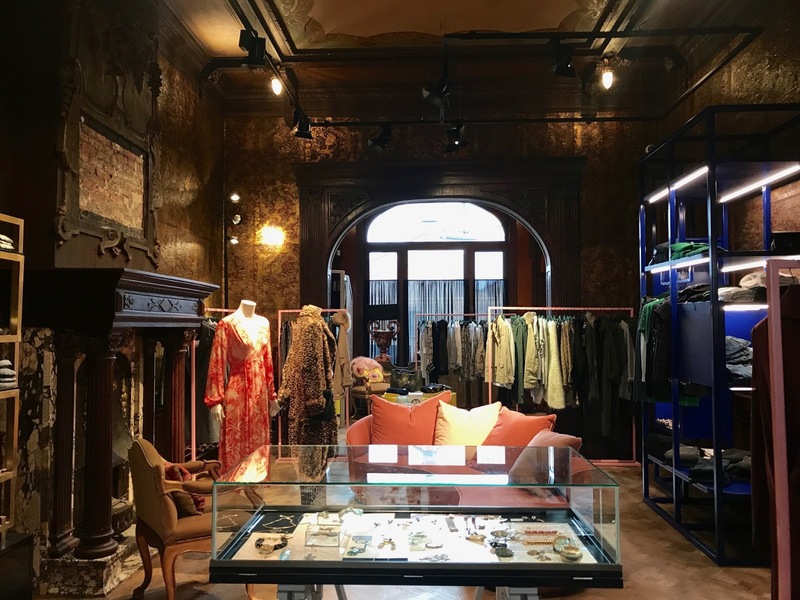 Dries Van Noten: The original DVN store in one of the coolest old building in Antwerp, Het Modepaleis. The 1881 building houses both mens- and womenswear collections of one of Belgium's - and the world's - best designers. Enes: Large concept store designed by Gert Voorjans (the same designer who did Dries Van Noten's house), focused on luxury womenswear. Brand portfolio includes Baum Und Pferdgarten, Dodo Bar Or, Carven, Iro, Rika & Love Stories. Ganterie Boon: One of Antwerp's oldest shops, specialized in handmade leather gloves. Going inside feels like travelling back in time, a truly special experience in Antwerp's fashion district. Graanmarkt 13: One building that houses a restaurant, high-end concept store and apartment, designed by Vincent Van Duysen. One of the most unique concepts in Antwerp and certainly worth a visit, for whatever purpose that may be, eating, shopping or sleeping. I.Ma.Gi.N. jewels: Jewellery brand with delicate but affordable jewelry, great for gifts or a treat-yourself-moment. Manuel Opdenakker: Tiny store that sells costume jewellery. Perfect if you're into crazy earrings and eye-catching jewellery. Necessities: Perfume shop with less-mainstream perfumes, scented candles and interior fragrances. Brands include Byredo, Diptyque, Annic Goutal, Escentric Molecules and Cire Trudon. Renaissance: Part of the Belgian Princess-group (high-end fashion stores), this one is located right in the fashion district and carries some of the newer and younger brands, like Self Portrait, Victoria Beckham, Acne and Isabel Marant. Rosier 41: High-end vintage/second hand shop with Belgian as well as international designers. New items are coming in constantly and are posted on social media. St. Vincents: Concept store with menswear, stationary, homeware and art. There's also a café inside where they serve really great coffee and homemade cakes. Steen en Been: Unique store specialized in fossils, minerals, seashells, coral, taxidermy etc. Great for special finds that add a little extra to any room in your house. Step By Step: Womenswear store with a stylish and girly/feminine selection of brands such as Bella Freud, SEA, Ganni, Isabel Marant Etoile and Ulla Johnson. ’t Stad Leest: Cosy bookstore which sells a nice selection of books and stationary. You could spend ours browsing here. The Recollection: Homeware store with a great selection of furniture, unique objects, pottery, art, candles, accessories and an Aesop shop-in-shop. One of the best shops for gift shopping, or to treat yourself. Located in the vintage/antique street of Antwerp, Kloosterstraat. The Plant Corner: For everyone with green fingers or a love for plants, this is a little piece of green heaven. Specialised in succulents and other easy-to-keep-alive plants. VIER: Named after Antwerp's fourth district, this store got some international fame after Raf Simons said it was his favorite skate shop in a Hypebeast interview. Streetwear, mostly men's but also some unisex items. Wouters & Hendrix: Unique high-end fine jewelry made in Belgium by best friends who graduated together from the Royal Academy of Fine Arts. Botanical Garden: A pretty hidden garden in the middle of the city, originally created 200 years ago to supply medicinal plants for the St Elisabeth’s hospital next door. Perfect for a small escape from the hustle and bustle of the shopping streets nearby. Cathedral of Our Lady Antwerp: No visit to Antwerp is complete without a visit to this Roman Catholic cathedral. With its 123 meters, it's one of the highest Gothic buildings in the Benelux. It houses a series of Rubens works, which on their own already make a visit worthwhile. Grote Markt: The main town square in the heart of the old city center. Here you'll find two of the city's icons, the Antwerp City Hall and the Brado Fountain. MoMu - ModeMuseum: One of the world's best fashion museums, presenting two major exhibitions every year either focused around the museum's own archives or touring exhibitions from partnering institutions. MAS - Museum Aan de Stroom: One of Antwerp's newest museums which opened in 2011 in a dockside neighbourhood. The rooftop (free entrance) has a beautiful panoramic view over Antwerp, certainly worth a visit. Museum Mayer van den Bergh: This place houses the private collection of Fritz Mayer van den Bergh, and the world famous 'Dulle Griet' by Pieter Bruegel. The collection is mostly made up of Gothic and Renaissance works from the Netherlands and Belgium. M HKA - Museum of Modern Art: Reopened in 2017 after a period of renovation in collaboration with Axel Vervoordt and Japanese architect Tatsuro Miki. Specialized in contemporary visual arts, film and sculptures. Plantin Moretus Museum: This was the home of the Plantin-Moretus family, who were the world's first industrial printers in 1555. It's the only museum in the world which is on the UNESCO list, so you can imagine how unique it is to visit this place. 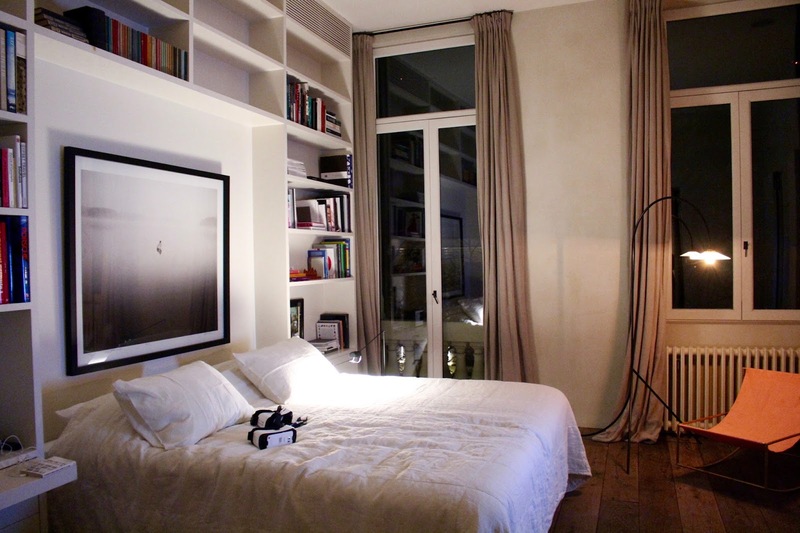 The house is filled with thousands of books, printing presses and art. Saint Carolus Borromeus Church: One of Antwerp's most beautiful churches (my personal favorite), located on the hidden and intimate Hendrik Conscience square. It used to house 43 paintings by Rubens, but today only one altarpiece remains. The Rubens House: This is the home of Peter Paul Rubens, the world-famous 16th-17th--century Baroque painter. He made the majority of his paintings in this house, which today are spread across the world in museums and private collections. In his intimate home, you get to enjoy Rubens' masterpieces as well as his private art collection. UAntwerpen Bibliotheek Stadscampus: This is the library where the university students of Antwerp come to study, and the indoor courtyard makes you feel as if you're in Hogwarts. Cool to see if you're in the area. Vlaeykensgang: This secret alley (1591) was purchased by Axel Vervoordt when he was 22, after which he spent many years renovating each building in the alley. He did this with respect towards the past, which makes it feel like you travel back in time upon entering. Today, it houses a couple of private homes and restaurants, including fine-dining establishment Sir Anthony Van Dyck. Royal Museum of Fine Arts Antwerp: One of Antwerp's largest and best collections of fine art. The building has been in renovation since 2011 and is expected to be finished at the end of 2018. In the meantime, some of the works have found a new temporary home in the Rockox House and the Cathedral of Our Lady. Rockox House: One of Antwerp's largest and best collections of fine art. The building has been in renovation since 2011 and is expected to be finished at the end of 2018. In the meantime, some of the works have found a new temporary home in the Rockox House and the Cathedral of Our Lady. Antwerp Loft: This is a great place if you've managed to book at table at The Jane, which is very closeby. This place opened in 2017 and has since expanded from 2 to 4 big lofts. It's located inside 't Groen Kwartier, which is an old military hospital that was recently converted into restaurants, shops, bars etc. Bed & Breakfast De Witte Nijl: This tiny two-room Bed & Breakfast is a great place to stay if you want to explore the South part of town. The interior is inspired by colonial Africa, which makes it one of the more unique hotels in Antwerp. Graanmarkt 13 The Apartment: This used to be the home of the owners of Graanmarkt 13, but now it's accessible to anyone (though it comes at a price). Always wondered what it's like to live in a Vincent Van Duysen home? Then this is the place for you. Hotel De Witte Lelie: A luxurious boutique hotel housed in 17th-century buildings with only 10 rooms/suites, close to the historic part of Antwerp. 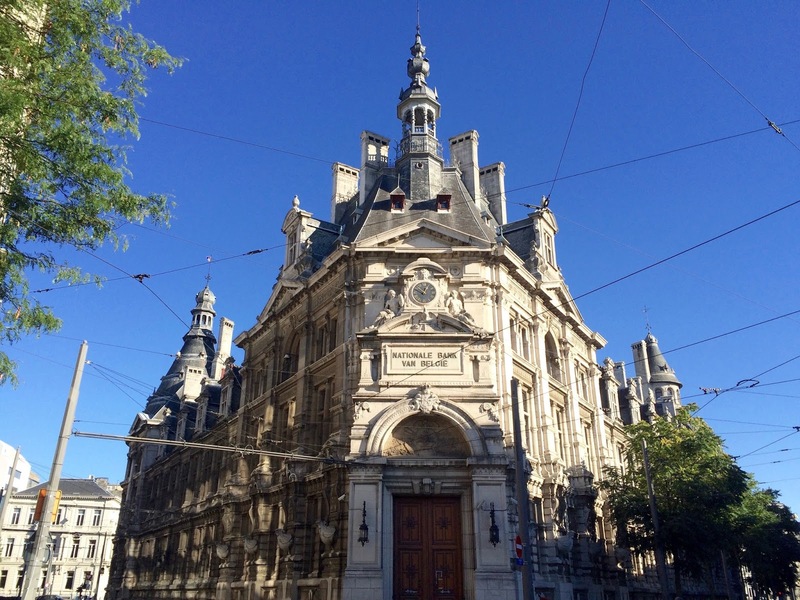 Many museums, good restaurants and shops at walking distance. Hotel Julien: One of the top-rated hotels in the city. The location makes it the perfect pied-a-terre for a visit to Antwerp. Hotel Pilar: One of Antwerp's newest hotels, located in the South, one of the best areas in the city. The views on the Royal Museums of Fine Arts are second-to-none and the breakfast is top notch! Le Tissu: Located in the Jewish quarter, this hotel might not seem well-located, but it's great for discovering Zurenborg, Haringrode and Berchem, which are upcoming neighbourhoods. The owners are incredibly friendly and the breakfast is big and tasty! Let me know if I missed out on anything good in the comments or via whiskersandlions@gmail.com.